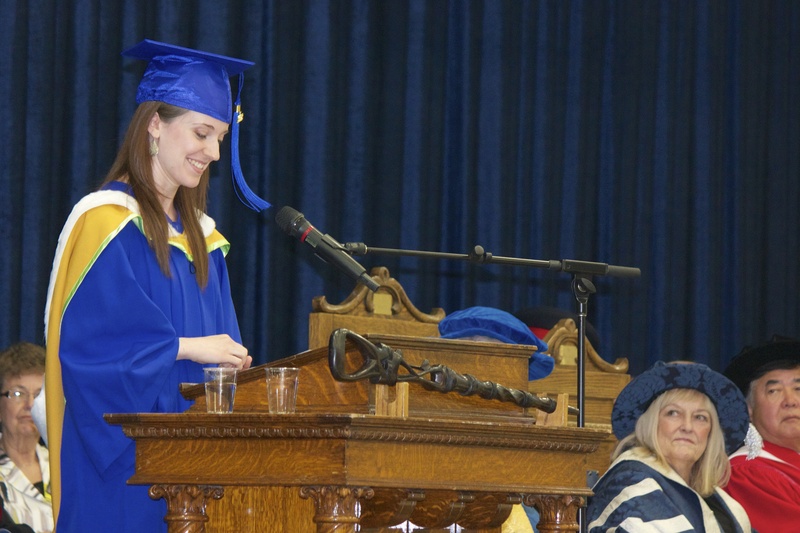 BRANDON, MB – Clothed in traditional cap and gown, 558 students received their degrees during graduation exercises at Brandon University (BU) on Friday, May 31st. Capacity crowds of more than 2500 people cheered the grads, during morning and afternoon programs in BU’s Healthy Living Centre. Canada’s preeminent television journalist Lloyd Robertson received an honourary Doctor of Laws. One of the most trusted faces in TV news, Robertson spent 35 years as Chief Anchor of CTV National News. The University’s new Chancellor, Micheal Decter, was installed as part of Convocation 2013. Decter, a Harvard educated financier, senior public sector manager and national expert on health systems, was appointed to a three year term by the BU Senate in March.